In 1800, the people called Methodists began to gather across the river on George’s Hill, led by Sally Curtis. About the same time, there was Methodist preaching at the residence of Mrs. Phebe Peck on the Brookfield Road. Not long after that, John R. Wheeler moved into the old house recently purchased as a building spot for the Episcopal Church. He invited Levi Bronson and Joseph Pierce, the first Methodist preachers in the village. New York East Conference of the Methodist Episcopal Church. A parsonage was built on the comer of Walnut Tree Hill and Church Hill Road in 1859.
is important to us as is Education, Worship, Sacred Music, Care and Support. Our monthly Spaghetti Suppers draw the Newtown community together. The purpose of the Newtown United Methodist Church is to invite all people, as a family, to know and worship God, and to equip them to offer Jesus’ love, forgiveness, healing, and justice to the community and the world, through the power of the Holy Spirit. 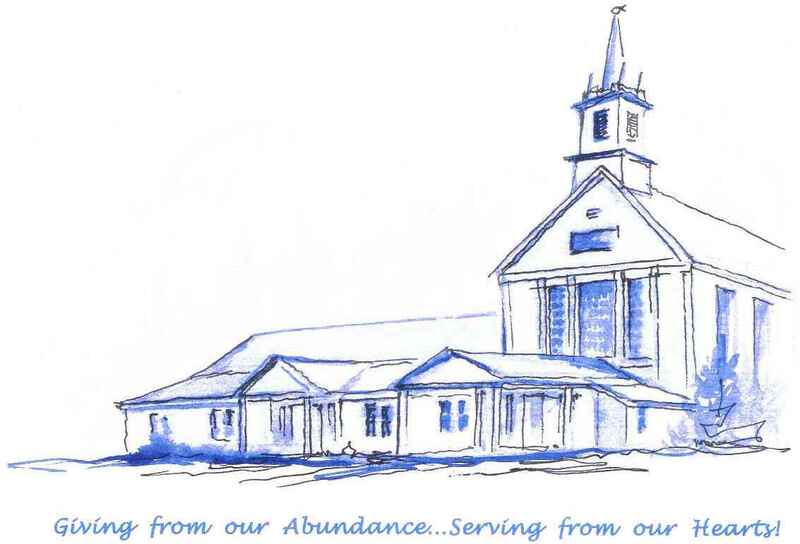 In February 2011, Newtown United Methodist Church became a church of Stephen Ministry. In Stephen Ministry congregations, lay caregivers (called Stephen Ministers) provide one-to-one Christian care to the bereaved, hospitalized, terminally ill, separated, divorced, unemployed, relocated, and others facing a crisis or life challenge. Stephen Ministry helps pastors and congregations provide quality caring ministry for as long as people need it. We invite you to share the vision of ministry with us! NUMC is a member of the Connecticut Central District — With Christians of other communions we confess belief in the triune God—Father, Son, and Holy Spirit. We are a regional unit of United Methodist churches and people. The conference includes all of Long Island, New York City, Connecticut west of the Connecticut River and an area on both sides of the Hudson River as far west as Walton and as far north as Chatham and North Blenheim. More than 144,000 people belong to about 500 United Methodist congregations in this area. The New York Annual Conference through the grace of God embodies a beloved community of hope, building up a healthy Body of Christ, with heart-warmed United Methodists in mission for the transformation of the world. We are a diverse people. As United Methodist people of the New York Annual Conference, we trace our ancestry to all but one of the seven continents of the world: North America, South America, Europe, Africa, Asia, and Australia. We have significant ethnic constituencies from South America, Africa, Central America, the Caribbean, Korea and China. Our conference provides opportunity not only for cross-cultural pastoral appointments, but also opportunity for the laity to gather in multi-cultural settings for a diversity of worship experiences and traditions. Our music varies from traditional and classical to experimental, praise and gospel. Our prayers are always from the heart, be they formal or spontaneous. We are a people of the Bible, reading many translations and basing our life decisions on Scripture, tradition, experience and reason. We cherish our 255 year-old heritage initiated in 18th century England by John Wesley. Our faith vision focuses on the future God has opened for the people call United Methodist.